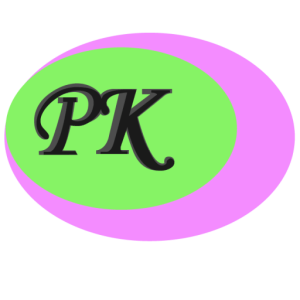 About us - PK Chem Industries Ltd. Welcome to PK Chem Industries Ltd! PK Chem Industries Ltd. has been a reliable source of vast variety of chemicals for over 15 years. We supply chemicals related to the Cosmetic Industry, Food and Feed Ingredients, Pharmaceutical Industry and many more. We have experience in fulfilling the needs of quality fatty acids and glycerin. It should be noted that all the Fatty Acids, we supply are kosher and Halal approved and carry both the OU Kosher certification and the Halal certification. We are leading supplyier of Fatty Alcohols, Food Additives, Castor Oil and its derivatives. We have close relationships with all major manufacturers which enable us to supply all chemicals in a timely and cost effective manner. We are in the business of sourcing chemicals according to your requirements and our focus is to help you reduce your procurement costs and enhance your supply chain efficiencies. Our mission is to provide our customers with the best level of service: prompt responses, competitive pricing, and on-time deliveries. Are you looking for chemicals for the Cosmetic & Personal Care, Pharmaceutical, Food, Industrial Additivies or Agrochemicals industries? PK Chem Industries Ltd, can supply all your needs promptly and competitively priced. We take great pride in carrying a wide range of chemical and additive products that represent the highest standards in quality & formulation. From fatty alcohols and glycols to oleo chemicals, we will have what you are looking for. Have a question? We’d love to help. Are you looking for something specific? Need a quote? Contact us today!